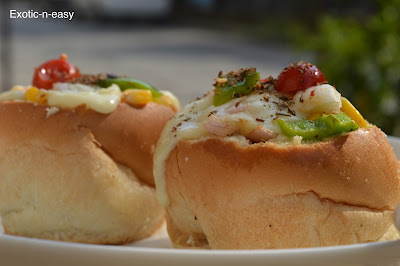 Bread Pizza is healthy option for our pizza lover kids. 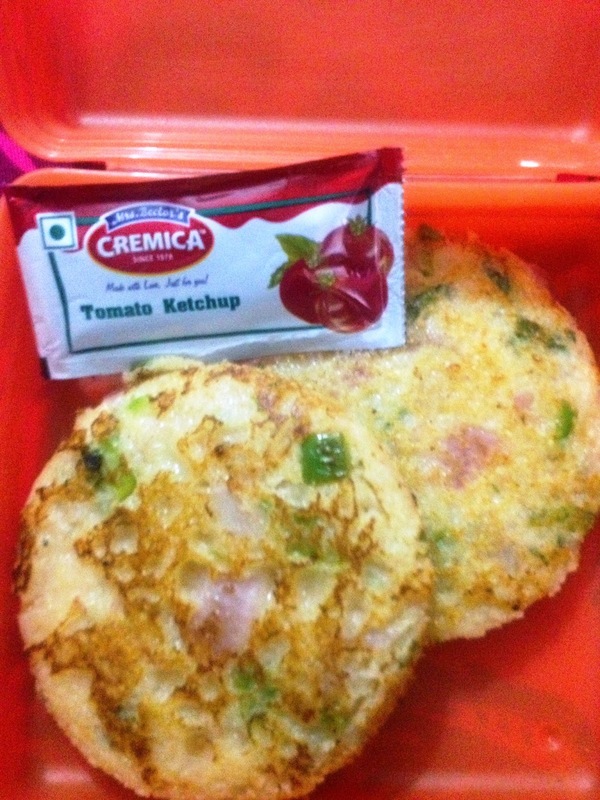 We can serve them for tiffin or evening snacks. Even it can be served during breakfast also. Mix Semolina / sooji, curd, onion, capsicum, green chilly, coriander, salt, red chilly and little water to make a smooth paste. Keep this paste aside for 10 min. Now take a brown bread slice and cover one side of bread with layer of sooji mixture. Season your tava or pan with oil. Keep the bread on tava with mixture side down. 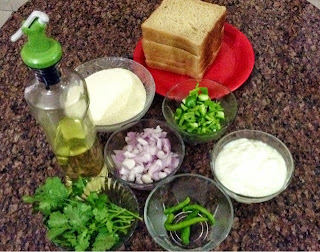 Wait for few minutes, now apply very little oil on the other side of bread. turn the bread toast it from both sides. When your bread is having nice color it means it is ready. 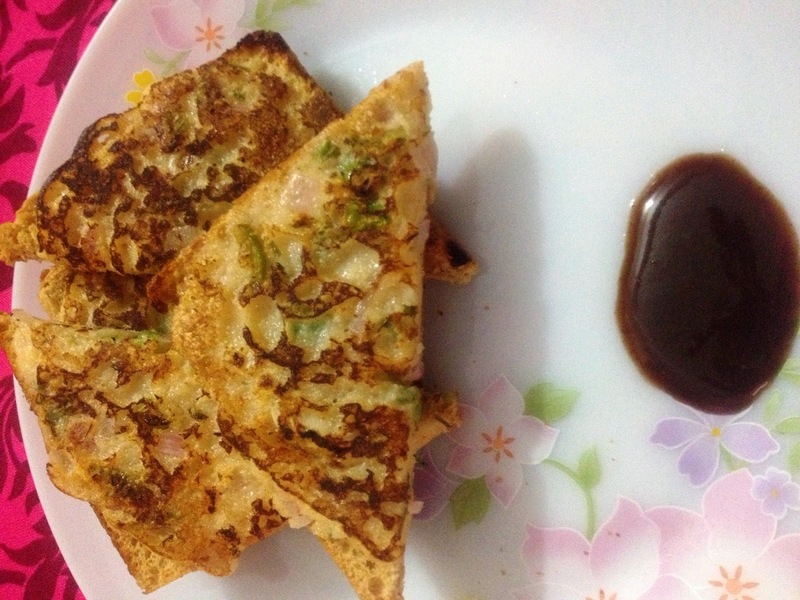 Serve it hot with Imly chutney, green chutney or sauce of your choice. Presentation Tip : For kids you can cut it into round by using cooky cutter. it will look like mini Pizza.